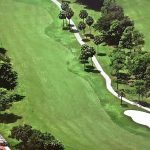 David Lee, the developer of Gravity Golf teaching concepts, and CEO of Gravity Golf, Inc., has brought three revolutionary golf training programs to the beautiful, and recently renovated Boca Lago Country Club, in Boca Raton, Florida. Lee’s research on the golf swing has earned him consideration for a Nobel Prize in physiology, along with accolades from some of the best players in history, including Jack Nicklaus, Lee Trevino, and Chi Chi Rodriguez. Three-Day “Gravity” Golf Schools are designed to enhance your sensitivity and awareness to fundamental concepts of movements you have been using since birth. 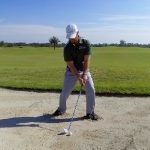 Learning to apply these simple concepts of gravity into your swing, will pay great dividends not only throughout your entire golf game, but on your body as well. At the Boca Raton golf schools you will learn the most comprehensive way to technically and physiologically improve your golf swing in order to ensure that you are practicing in the most advantageous manner. You will experience a blend of time on the practice tee, short game areas, and on course instruction tailored to your specific needs. Our Schools run from 8:30 AM to 5 PM, with a one hour lunch break in-between. That includes 24 hours of instruction, facility usage & golf balls, as well as lunch each day. The Golf Schools have a 4 to 1 student to teacher ratio ensuring that everyone receives an ample amount of one on one attention. 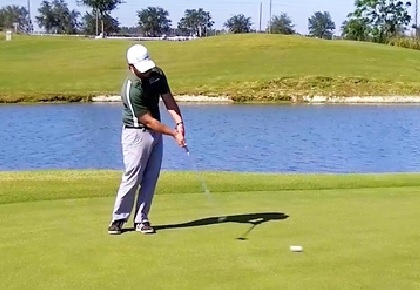 A premiere Three-Day “Gravity” Golf School is $2200. 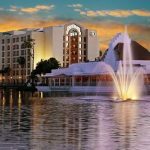 Book and secure your place with a $750 deposit. The balance of the tuition is due prior to the first day of the school. David is offering some fantastic two-day short game schools. 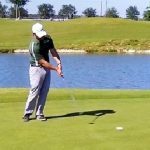 “It has taken forty-two years of hard work to discover what causes and eliminates the dreaded “yips” on putts and short shots, but we can easily fix them in anyone, along with teaching perfect short game technique,” states Lee confidently. 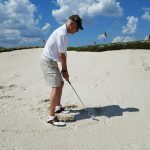 Interested golfers also will be able to attend half-day seminars, narrated by well-known sportscaster Denny Schreiner, to learn more about the Gravity Golf philosophy. 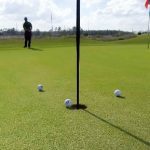 These informative sessions focus on all parts of the game—full swing, short game, and the cause and cure for the “yips” in putting, chipping, and pitching. Viewers will be able to watch the Tour Express athletes train, and witness first-hand how the Gravity Golf instruction techniques are being used to accelerate the learning process. E-mail us below for more information or call us at 407-347-5288. If you want your golf game to experience an entirely new level, come visit us soon! David and Daniel, as well as the rest of our instructors, dedicate time to each of their four students and adapt where needed to their learning styles to ensure maximum improvement and success. There will always be an instructor who can assist you with learning what you personally need. 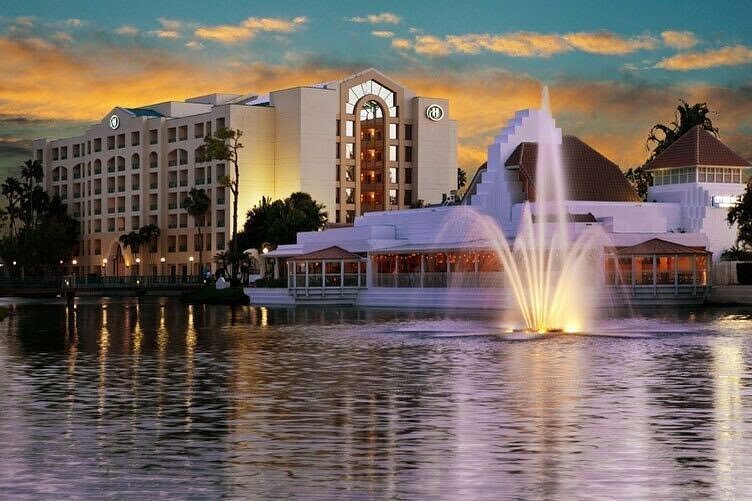 Register today to be a part of our transformative 3-Day Golf Schools​ in Boca Raton, FL. ​Technically and physiologically improve your swing now, so you can play like you believe you can. Additionally, we host 2-Day Short Game Schools and Power and Driving Workshops. These experiences also give you ample time with your instructor to focus on developing the most efficient power possible for your swing, and we include a delicious lunch during your time with us =). No matter the golf instruction​ experience you choose with Gravity Golf, we’d love for you to stay in touch. Tell us about how practice is going; our instructors are always ready to help. A complete guide to becoming a feel player through natural motion and dynamics. 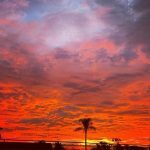 This is a wholistic approach that brings together the mind and body in a friendly, grounded and very powerful way. 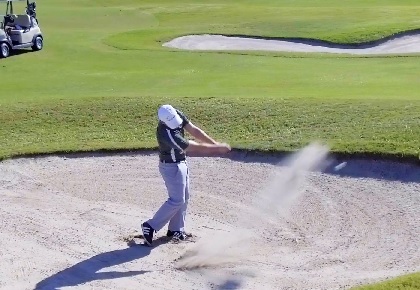 If you are not using gravity in your swing, you are hurting your body. Free yourself up to enjoy your game to its fullest potential and take the Gravity Golf Challenge today! Sign Up for a 3-Day Golf School and get the Gravity Golf Challenge for FREE today! 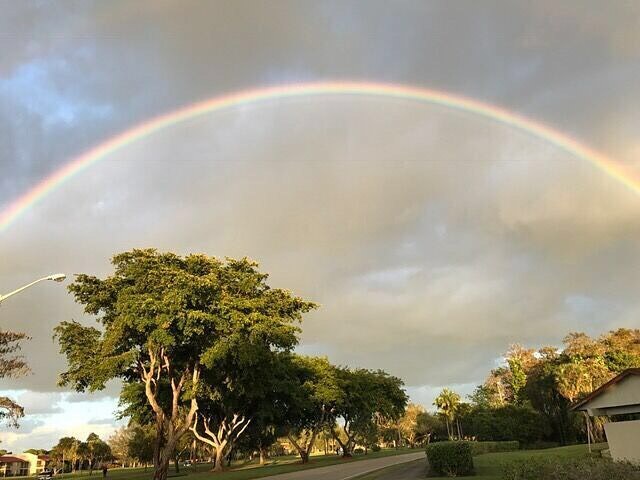 Renowned golf instructor, David Lee, CEO of Gravity Golf, Inc., has announced that in addition to three-day comprehensive golf schools, Gravity Golf will conduct two-day short-game schools on the fully renovated practice facilities at Boca Lago CC beginning this April. These schools will run for four hours each day and cover all types of short game shots as well as putting. 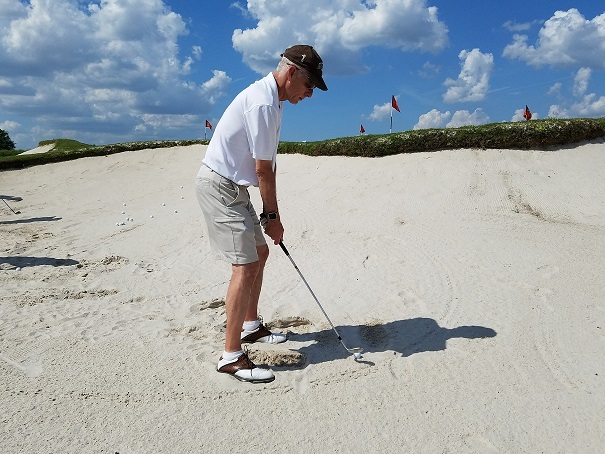 For more than forty years, Lee has been conducting extensive studies on the dreaded “yips” in golfers, and his research has uncovered both the cause and cure for them. “If you have trouble blading or “chilly dipping” chips and pitch shots, or with “yipping” putts, we can show you how to easily fix the problem. 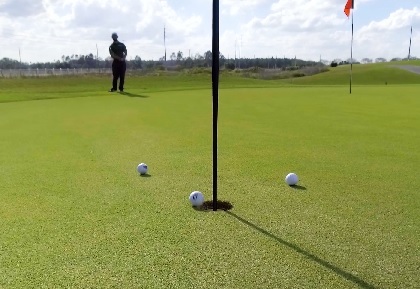 Your short game can move to a level you’ve never dreamed possible if you know how to practice properly,” says Lee. Both the full swing and-short game schools will be open to golfers from anywhere in the world. 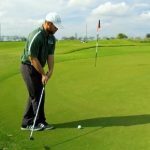 In addition to the Gravity Golf school programs, the club has become home for a unique Gravity Golf program called “Tour Express,” which is preparing college graduates—all athletes but non-golfers—to compete professionally in one year’s time. The Tour Express players are training and working out at the club alongside Gravity Golf’s other students. 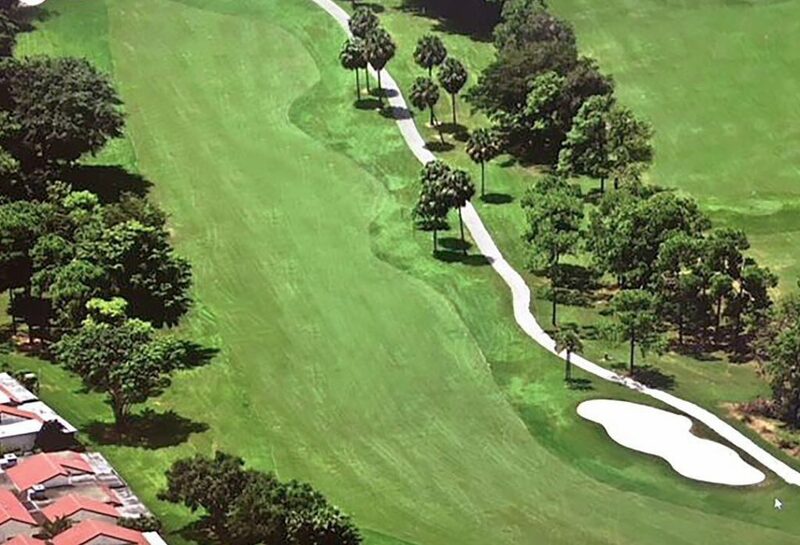 The Short Game Schools benefit from new practice holes and practice facilities that have been constructed as part of the $6.5 million renovation that was completed in 2018 at the Boca Lago CC. 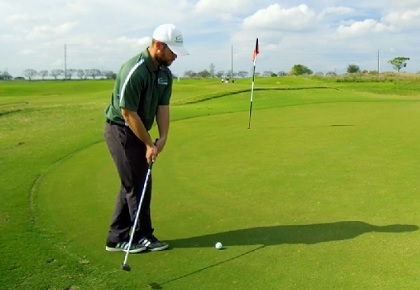 A premiere Two-Day Gravity Golf Short Game School is $1200. *The Golf Schools have a 4 to 1 student to teacher ratio ensuring that everyone receives an ample amount of one on one attention. Schedule a Short Game School below by choosing an available date or request special dates for yourself by emailing us bellow or call us at 407-347-5288. These workshops include 4 hours of instruction from 8:30 am until 12:30 pm. We only take 4 students to make sure that there is ample 1-on-1 time for each player in the group. 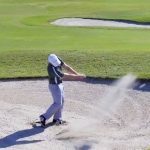 Working through a specially designed driver drill and progressive routine, this workshop provides each student with the Gravity Golf fundamentals of moving the ball with mass instead of muscle, and how to direct it. We treat you to lunch on the day of the workshop, allowing for some personal time with your instructor. A half-day Power & Driving Workshop is $500. Other Pet Services: Dog walk area on site. Exciting things are happening beginning in 2019 with Gravity Golf. David Lee and his wife Crickett have moved to Boca Raton, Florida, and will be starting Tour Express, perhaps the most exciting and aggressive training program for the development of professional players in the history of the game. Read about it on our web-site. 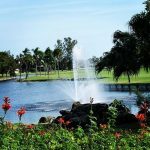 David will be conducting the Tour Express program at the beautifully renovated Boca Lago Country Club. 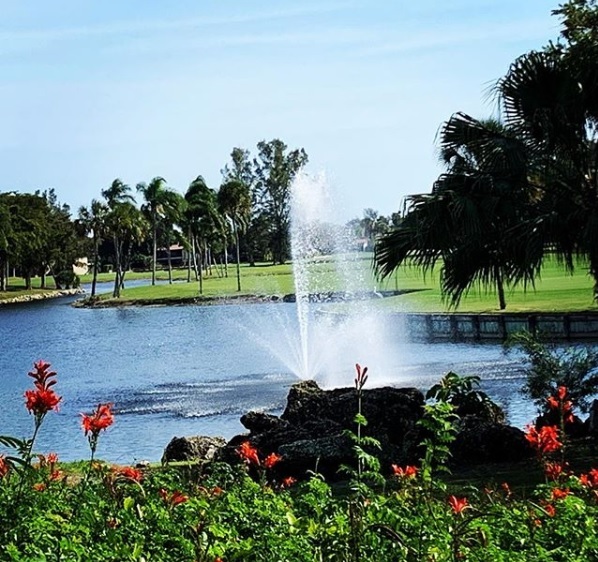 Boca Lago is a Bruce Devlin/Bob Von Hagge designed, twenty-seven hole layout, that has recently undergone a 6.5 million dollar facelift by famed architect Jan Beljan, the new incoming president of the Golf Course Architects Society of America. Jan and Sanders Golf Construction Company did a beautiful job, and the course is now open to play and some great new membership deals. 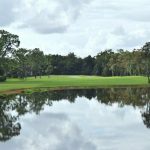 In addition to the start-up of the Tour Express program, Gravity Golf will be opening a new location for full swing and short game schools at Boca Lago, beginning in January of 2019. The short game schools will be an exciting addition to the Gravity Golf programs. 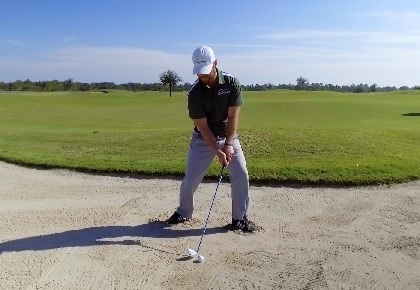 After forty plus years of research, we finally understand exactly what causes the short game and putting “yips,” and can easily fix them in anyone! Call us for available school dates. 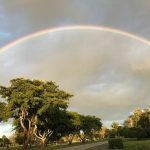 There is more exciting news in that Daniel has just completed the new “Gravity Golf Challenge,” a progressive learning curriculum that he has been working diligently on for more than three years. Even though it was a collaboration between the two of us, he deserves all the credit for its completion and layout design, along with all the video work. Check it out on our web-site. The first stage is ready for review and the entire work will be available soon – we hope and believe you will be impressed! 2018 has been a tough year for us starting with the loss of my brother Bobby, back in March. He was a fine golf professional who was loved by everyone that knew him. On his last day, he shot 67, one under his age, in his club tournament in Glenwood, Arkansas – and passed quietly in his sleep that evening. All of our family and his many friends miss him dearly. Rest in peace, my brother. We wish you a Happy Holiday season, a prosperous New Year, and all the best for your golf game in the future. Thanks, and stay in touch!